In this 5 minute masterclass we’re going to take a look into augmented chords and basic scales. 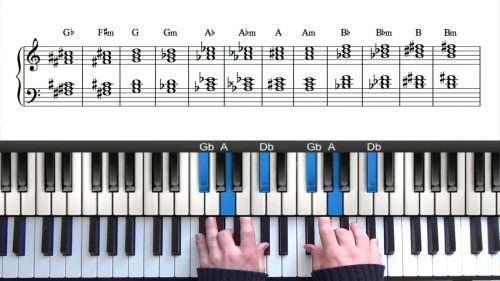 Augmented chords and scales have been used in classical music for centuries, for example by composers like Debussy, Lizst, Bartok and Schoenberg, just to name few. 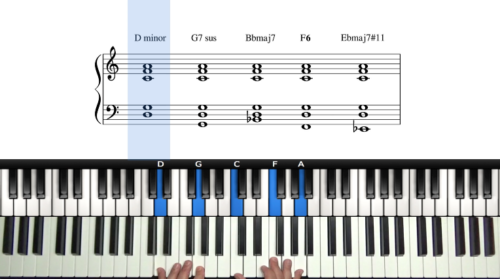 In jazz, they have become great tools for improvisation as well as giving basic chords more colour. Used at least as early as Bix Beiderbecke’s solo piano pieces, where he used the whole tone sound, their use progressed through to modernists like John Coltrane, Oliver Nelson and Michael Brecker. The Basic augmented chord is a major triad with an augmented 5. It divides the octave into 3 equal parts, major 3rds C-E-Ab-C. Now, if we continue dividing the those intervals, we end up with 6 major 2nds, the whole tone scale. We will look into ways this is commonly used and some theoretical ideas that make putting it into practice simpler. This part of the lesson focusses on the Augmented scale and how it is derived from the augmented triad. It is an interesting scale because in itself it contains two augmented triads and three major triads. We will look at some of the harmonic structures of augmented triads and how they can be used to add some different flavours to standard harmony. I will go over some examples of using augmented harmony in a 2-5-1 situation and also look at reharmonising "The Days of Wine and Roses". 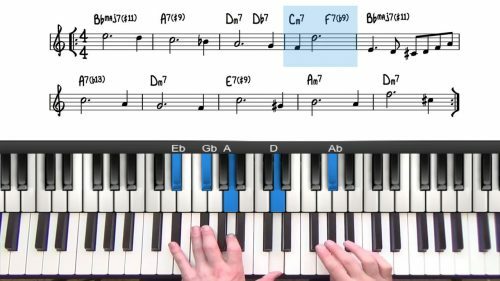 Before attempting to improvise over a jazz standard or lead sheet, it’s a good idea to identify which chord scales will work in the progression. Try using the whole tone scale when improvising for different colours over dominant chords. Memorise a few of the chord substitutions in this video and use them and their related scale when improvising. Re-harmonise a tune of your choice using the using as many of the augmented chord substitutions as you can.